Search The Pre-Owned Inventory! Visit Subaru Showroom! If you are looking for a new or used Subaru Impreza WRX in Kitchener Waterloo, Cambridge and surrounding area, the Gemini Motors sales team will be able to satisfy your needs. 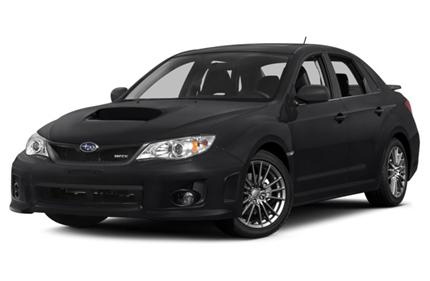 Gemini Motors always has a great selection of new and pre-owned Subaru Impreza WRX in stock and add to the vehicle inventory daily. At Gemini Motors we proudly sell and service new and used Subaru Impreza WRX to customers from Kitchener Waterloo, Cambridge, Guelph, Fergus, Brantford, Guelph, Petersburg, Wellesley, Stratford and the Southern Ontario region. This latest version of Subaru's venerable Impreza WRX features a striking exterior that understates this cars very real performance credentials. With its flared fenders, spoilers and wider stance, the all-wheel drive Impreza WRX has a more aggressive look than the other, more sedate Impreza's. It is available in four trims: Base, Premium, Limited and STI. WRX trims feature a 265-hp turbocharged 2.5-liter horizontally opposed four-cylinder engine paired with a five-speed manual transmission. The STI's turbocharged 2.5-liter horizontally opposed four-cylinder produces a whopping 305-hp and is paired with a six-speed manual transmission. To plant all that power, Subaru utilizes a Driver Controlled Center Differential (DCCD) system, which claims to be the world's only hybrid mechanical/electronic limited-slip differential. Standard front seat mounted, and front and rear curtain airbags offer occupant protection. Standard anti-lock brakes with traction-control and stability-control help reign the chassis in while driving at the limit of this cars potential. The Impreza WRX continues for 2014 with minimal changes. Source: Chrome Data.